Modern home design and colours now cover the complete Colorbond range of colours, so the Eco range comes in just about every Colorbond colour available to match your new homes styling and colour scheme. It may seem like a little thing, but getting the clothesline to match in with the colours around the rest of your home is actually really important. 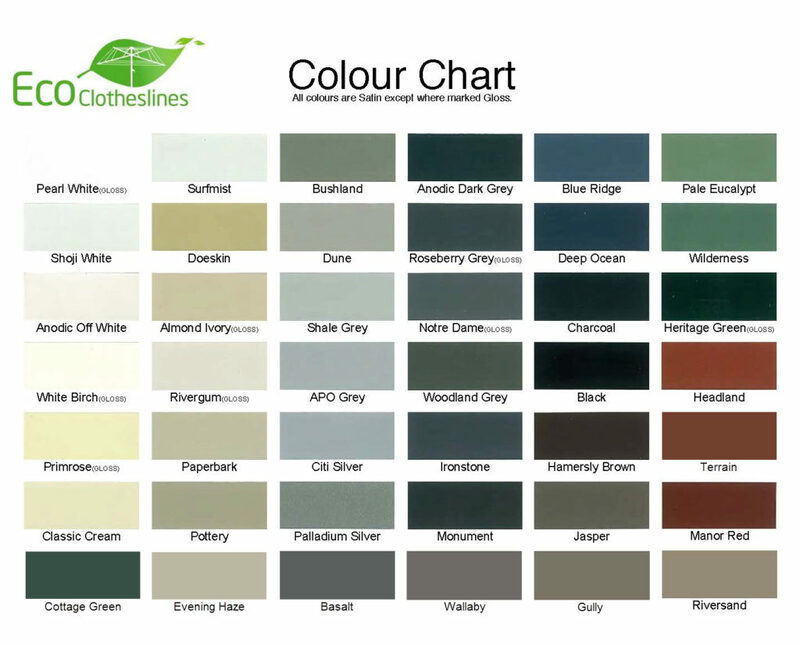 There is nothing worse than having a new clothesline installed and it standing out like “dogs balls” in your new home, which is why the Eco clotheslines range comes in over 25 Colorbond colours, all at no extra cost.